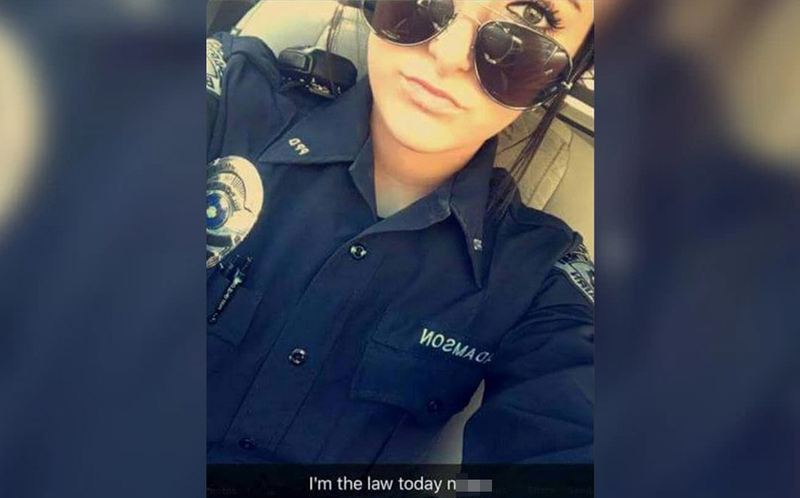 A part-time police officer lost two jobs after after posting a racial slur to her Snapchat account. When the Snapchat image surfaced online, Mayor Michael Cherepko of McKeesport fired Adamson from her position after her first few weeks on the job. Adamson stepped down from her second part-time job as a police officer in Versailles after the image surface online, according to WTAE. There has been a picture circulating around of an ex-female employee of the Pitcairn Police Department. As the picture alone does not constitute misconduct, it is symbolic speech and protected under the First Amendment. However, it is the content of the text in the picture which is unacceptable. The Pitcairn Police Department holds high integrity for the community we serve and this type of conduct will not be tolerated. Adamson has since apologised for the image and called her actions a ‘stupid mistake’. Everyone knows that I don’t have a racist bone in my body. And people who don’t know me, I can understand why it was misconstrued to where it looks racist. But like I said, everyone who knows me, knows I’m not racist. Unfortunately for Adamson though, using a racial slur on Snapchat does constitute as being racially insensitive.